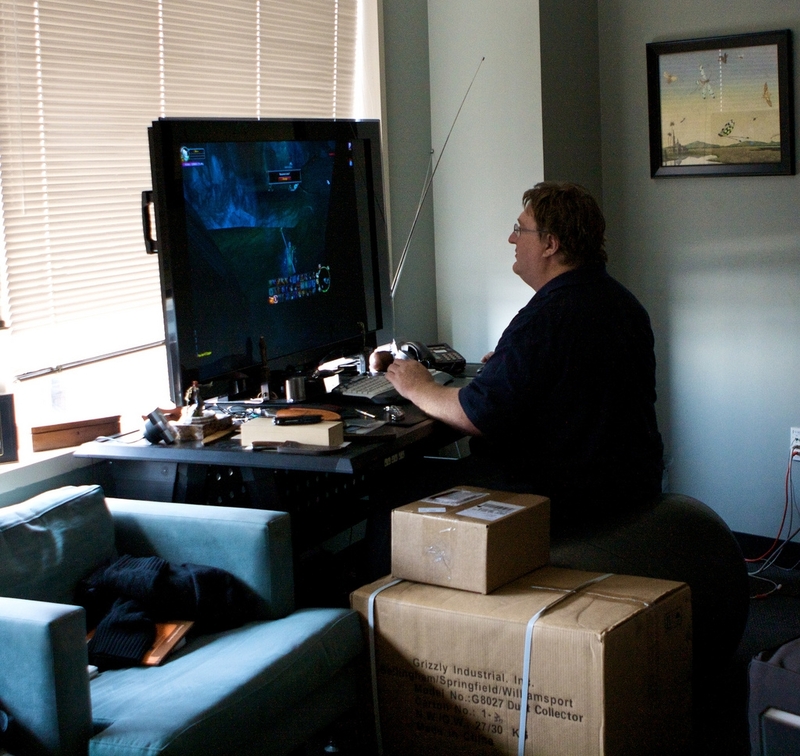 Gabe Newell has achieved ascendant status among his followers, largely because of the success of Valve’s games and the substantial standing of Steam. In a recent conversation he had with reporters, the video game juggernaut also revealed that he wouldn’t mind of virtual reality doesn’t turn out to be a success. This is despite the fact that his company is also investing heavily in the field. Polygon covered a recent roundtable with Newell and several reporters, where Valve’s founder waxed freely about his company, his vision, and his products. The publication noted how the video game giant doesn’t follow the same convention as other company heads do, preferring instead to keep things informal and unscripted. On the matter of VR, for example, Newell expressed a positive attitude when it comes to the future of VR. He would have to be, considering how much time and money Valve has already funneled into created a platform and an entire ecosystem around the emerging industry. If it does end up a failure, however, Newell would apparently just shrug it off. "We're optimistic. We think VR is going great. It's going in a way that's consistent with our expectations," Newell told reporters. "We're also pretty comfortable with the idea that it will turn out to be a complete failure. If you don't try things that don't fail you probably aren't trying to do anything very interesting. So we hope that we'll find stuff that gamers will say is awesome and is a huge leap forward." As Business Insider notes, someone like Newel who is worth a little over $4 billion can certainly afford to take chances with regards to untested products and concepts. More often than not, his crazy ideas paid off in the past, and VR might prove just as lucrative as Steam. In any case, it would certainly appear that Newell has a rather cavalier attitude towards business success than most would think.